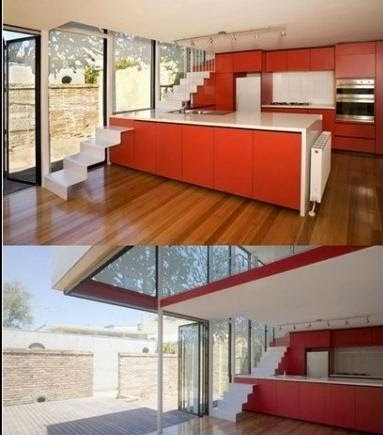 Stairs or an elevator? 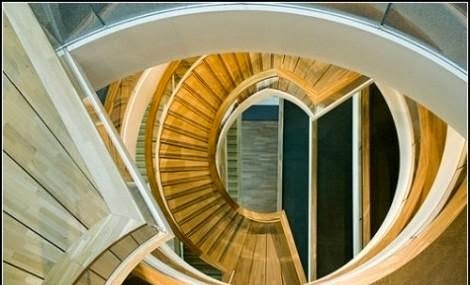 Stair or escalator? If there is such a choice, most likely choose the second option - so once again do not strain. 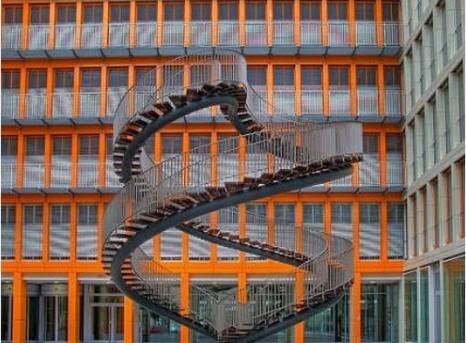 Probably because of the innovative design of stairs is not so popular, as well as innovative projects of all kinds of lifts, accelerators and other devices that make life easier. 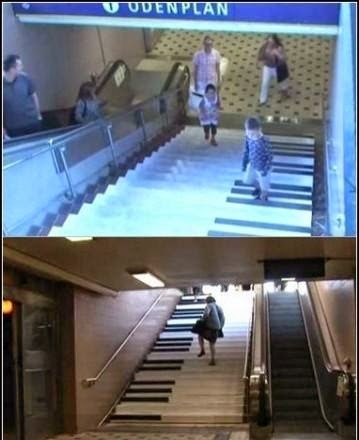 However, once the company Volkswagen tried to get people to use the stairs, turning them into a grand piano . 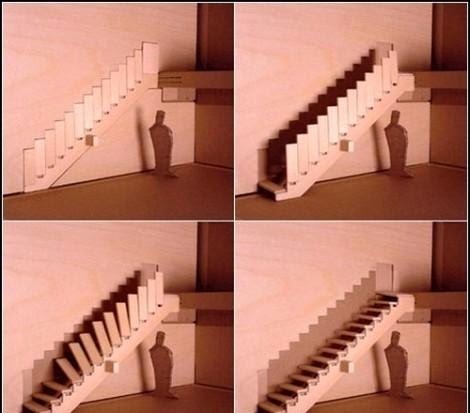 However, this - not only a creative way to design the stairs, and just about this - our today's review. 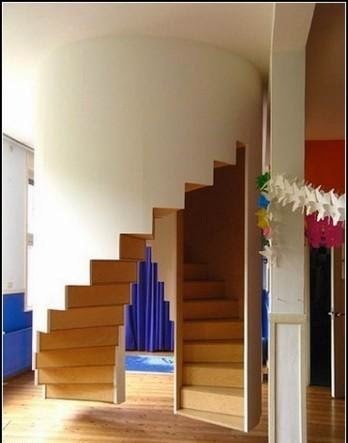 In light of recent developments space savings, designers use "saving technologies" and the design of stairs indoors as well as outside it. 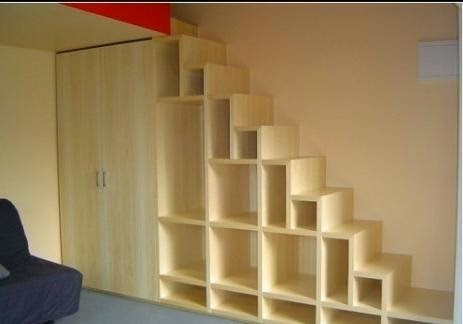 As a result, the stairs are shelves, cabinets, and even hide in themselves an extra room or a closet. 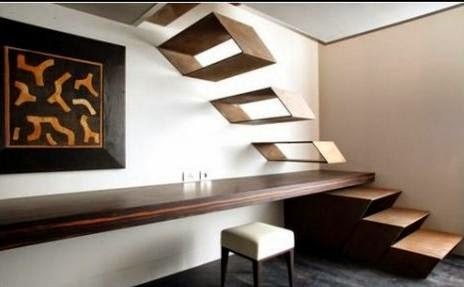 If the goals are to use the stairs as a particular furniture, it becomes an art object. 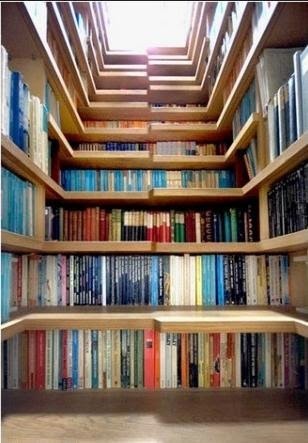 Well, or just decorate the room. 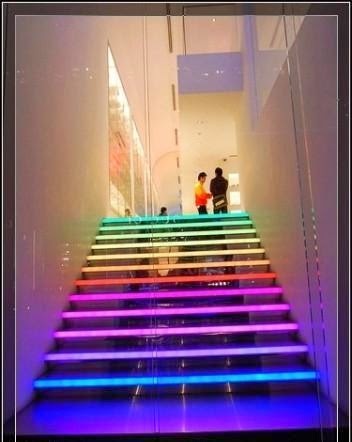 In addition, they help us to get from point A to point B, overcoming some obstacles in the way, designer stairs and can perform other functions. For example, to learn the piano legs . 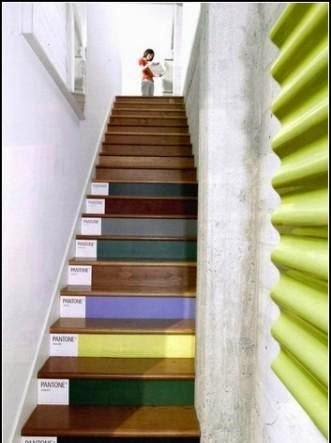 Or ... to explore the range of paint colors. 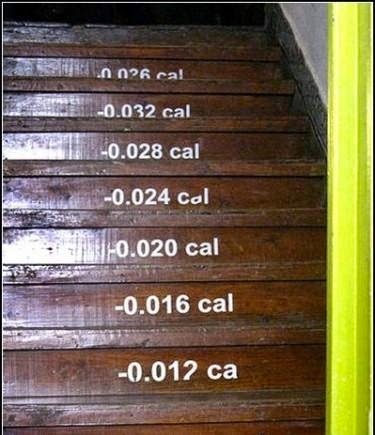 ... Or to count calories lost in transit. 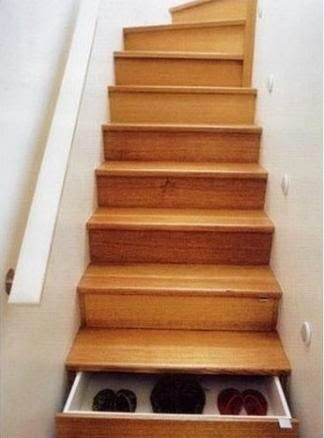 And it's not just the stairs designs. 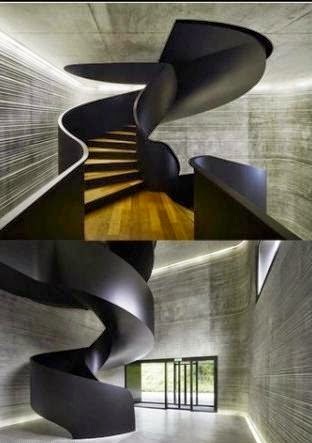 This flight design and scope of the creative imagination. 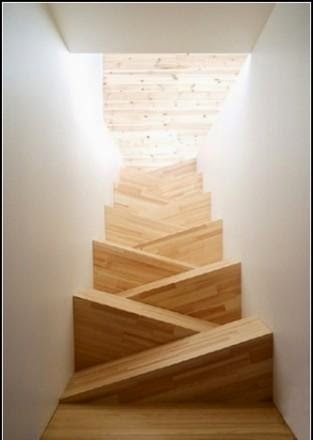 On the one hand, they are fully functional in their steps can go up and down, not afraid to fall down. 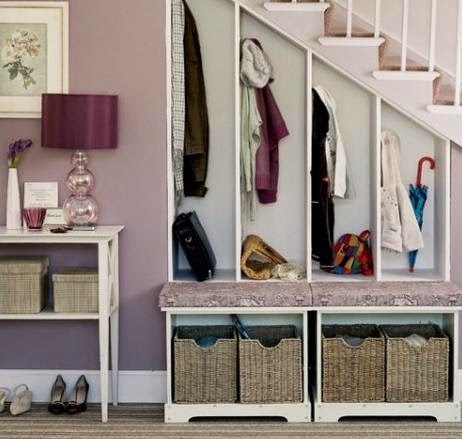 But at the same time it is interior decoration, which by virtue of a surprise even the most experienced innovators.